With an Alien Gear Para Ordnance 1911 Expert Carry inside the waistband (IWB) or outside the waistband (OWB) concealed carry holster, you get the peace of mind knowing that your Expert Carry holster is comfortably concealed until you decide to draw. Even with eight round mags in the handle, your Alien Gear concealed carry holster will provide you with a lifetime of durability. 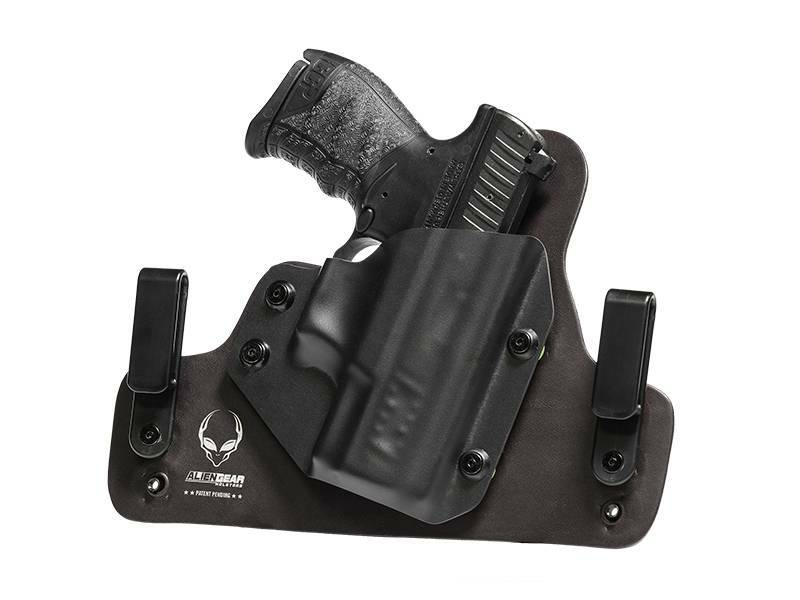 You can't go wrong with leather, and Alien Gear's Cloak Slide Para Ordnance OWB concealed carry holster proves that axiom. This traditional high-quality leather holster is one of our best sellers, and comes in natural tan or black. 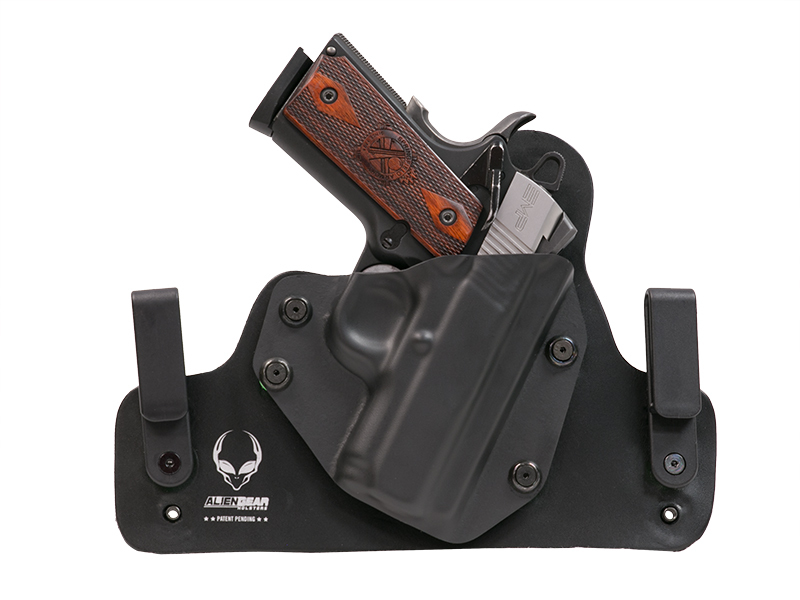 The Alien Gear Cloak Mod Paddle Holster is the other 1911 OWB concealed carry holster we offer. 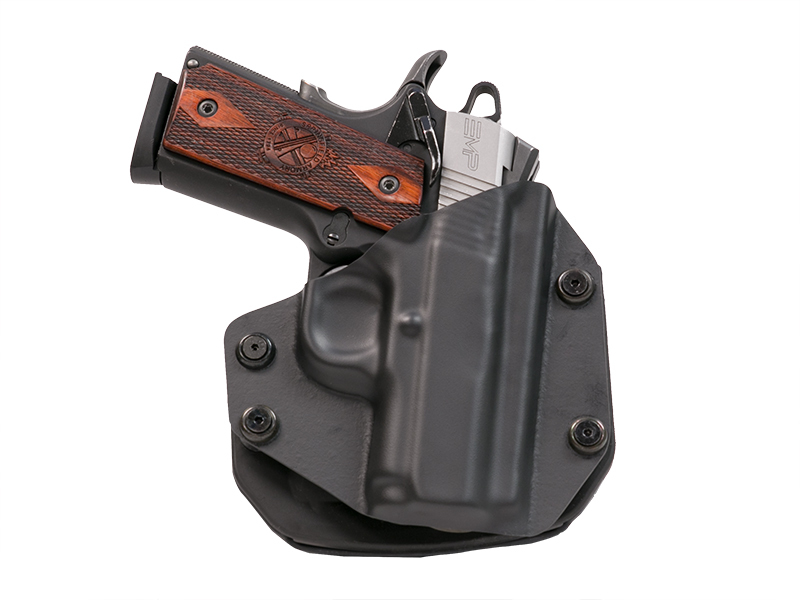 This versatile model lets you have the option to wear your Para Ordnance Expert Carry as a paddle concealed carry holster or as a belt slide concealed carry holster. 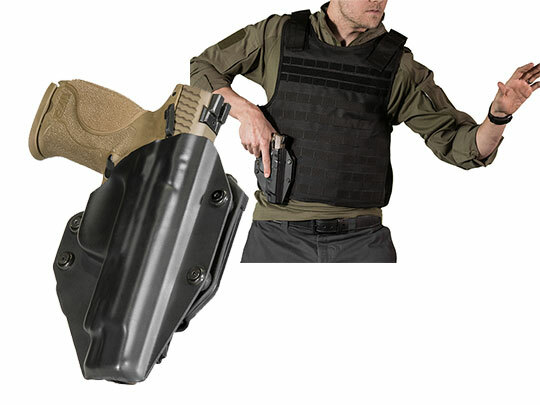 The choice is yours, and switching from belt slide holster to paddle holster and back is a snap. 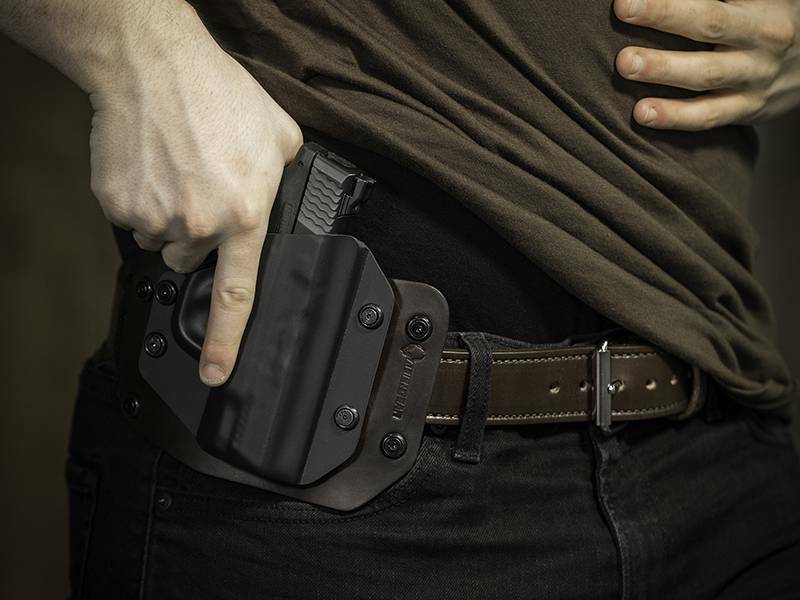 When it comes to inside the waistband Expert Carry concealed carry holsters, Alien Gear would like you to show you our original Cloak Tuck model. 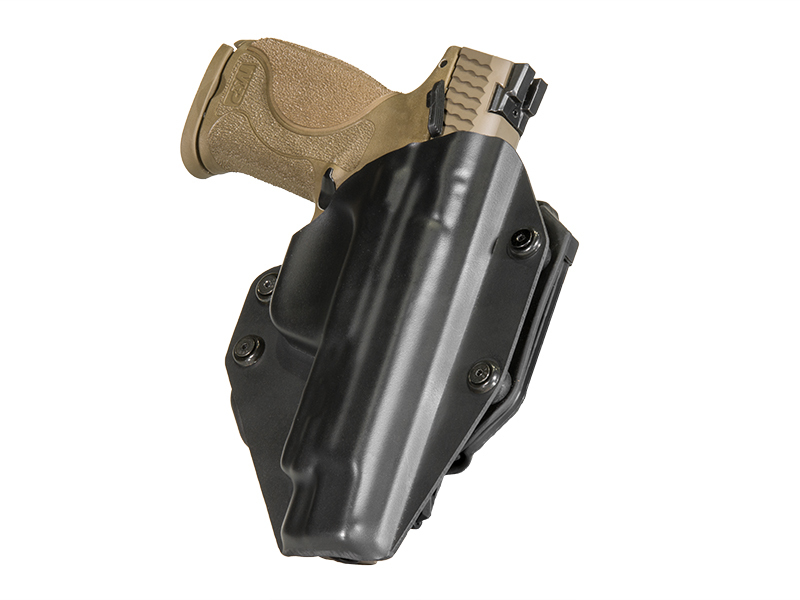 The same heavy-duty leather found in the Cloak slide is used to craft this holster, and is available in the same tan or black colors. 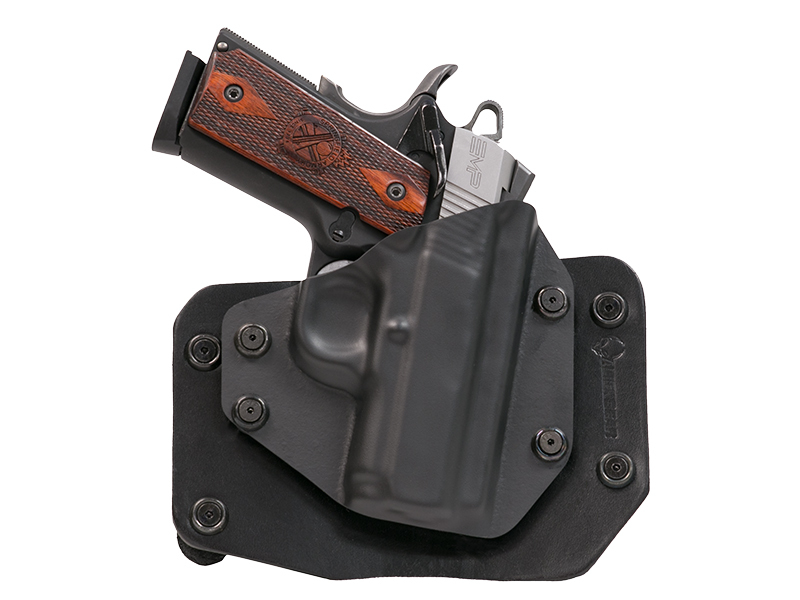 For wow-factor in a 1911 IWB concealed carry holster, take a look at our Cloak Tuck 3.0. This model is engineered with a layer of stainless spring steel and tactical nylon. 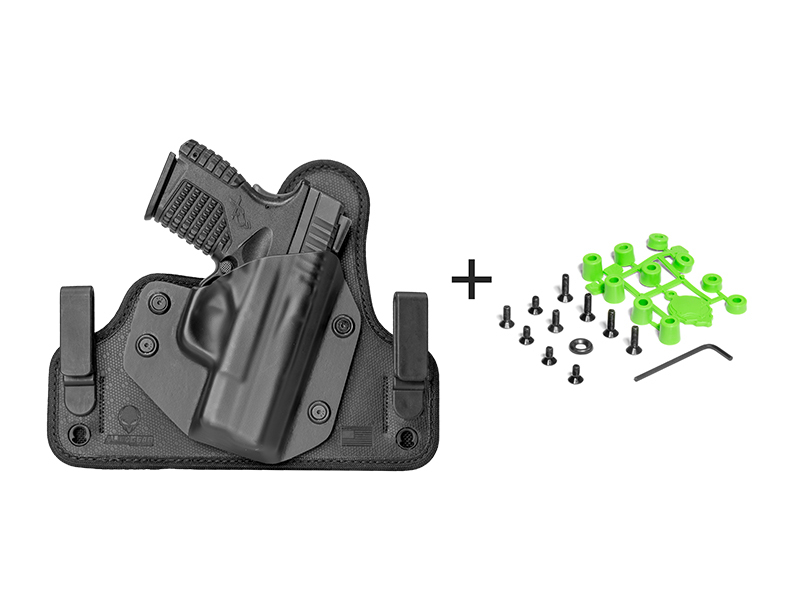 These two materials work together to make the strongest and most flexible concealed carry holster on the market. To make things even better, we've added our "Alien Skin" custom rubber textured surface that makes for a secure hold and friction-free draw. Alien Gear Para Ordnance 1911 Expert Carry 3-inch IWB and OWB concealed carry holsters are known for our customization and adjustability features. Finding the most comfortable ride height is easily accomplished by setting the "C" style or "J" style belt clips higher or lower. 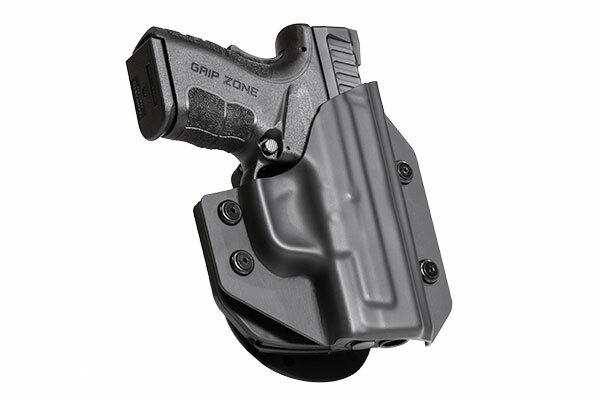 Wearing the clips higher will lower the holster. Setting them lower, raises the ride height. Adjusting for cant angle is an easy process too. All that is required is to raise or lower one or both of the belt clips in opposing directions to set for the desired tilt angle. Alien Gear delivers the highest quality Para Ordnance 1911 Expert Carry 3-inch products at the most reasonable prices in the industry. All of our products are backed by our 30-day Test Drive, Forever Warranty, and Free Shell Trade Program. You can buy with confidence knowing that our products are 100% made in America. We are simply the best in the business.